Realtors in Toronto face many challenges in getting quality real estate buyers and sellers.This article explains to you what questions you should ask before you start online lead generation for your brokerage business. 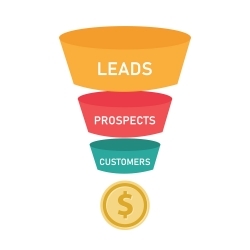 How To Call Real Estate Leads? Discover the benefits of hiring a third party agency to call your real estate leads in terms of cost-reduction , fast followup, increasing appointments and transactions. Discover the trends in Toronto real estate market as well as the factors that are affecting Toronto real estate market. Why Real Estate ISA Service is Needed For Pre-Construction Projects? Learn more about the real estate ISA service and how you can benefit from it as a realtor. Learn how you can improve your real estate leads conversion rate by hiring an ISA agency. Lear more how you can benefit from an ISA company in the pre-construction stage of your project. How Do You Start the #First5Minutes of Your Day?